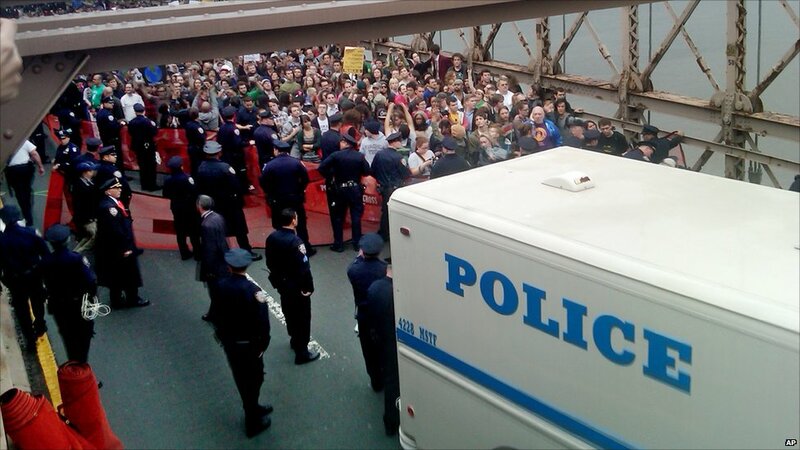 Police in New York City arrested hundred people marching across Brooklyn Bridge on an Occupy Wall Street protest. 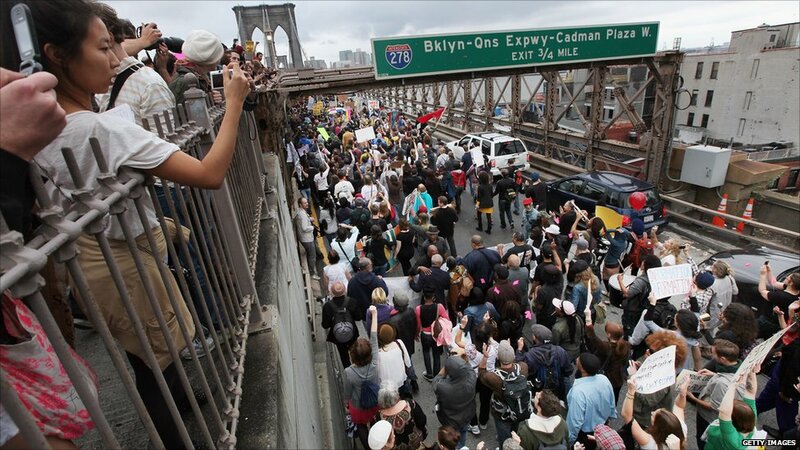 Many of the protesters, marching from Manhattan to Brooklyn, took to the roadway of the bridge where they were stopped by a large police contingent. Some of the protesters sat on the roadway and chanted "let us go" after police blocked their progress. Police said they warned protesters not to use the bridge's roadway. Some of the protesters said police gave the indication the roadway could be used. 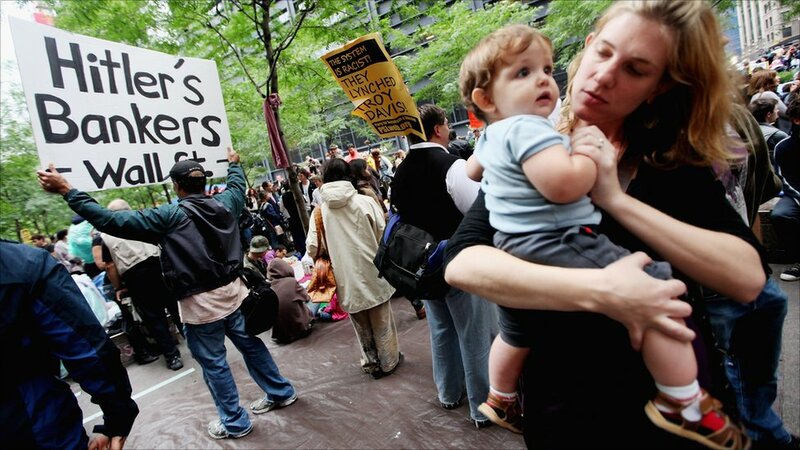 The supporters of the Occupy Wall Street movement have been camping in a square in New York's financial district for two weeks. 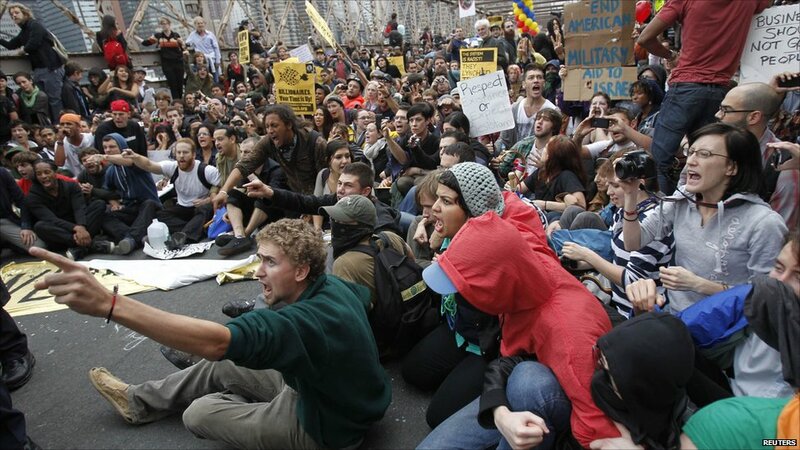 They are protesting against corporate greed and economic inequity.